PDQ POS, the #1 Pizza POS & Quick Service POS, is also Top Rated for its Fast Casual POS, Delivery POS, Table Seating POS & Retail POS Systems! 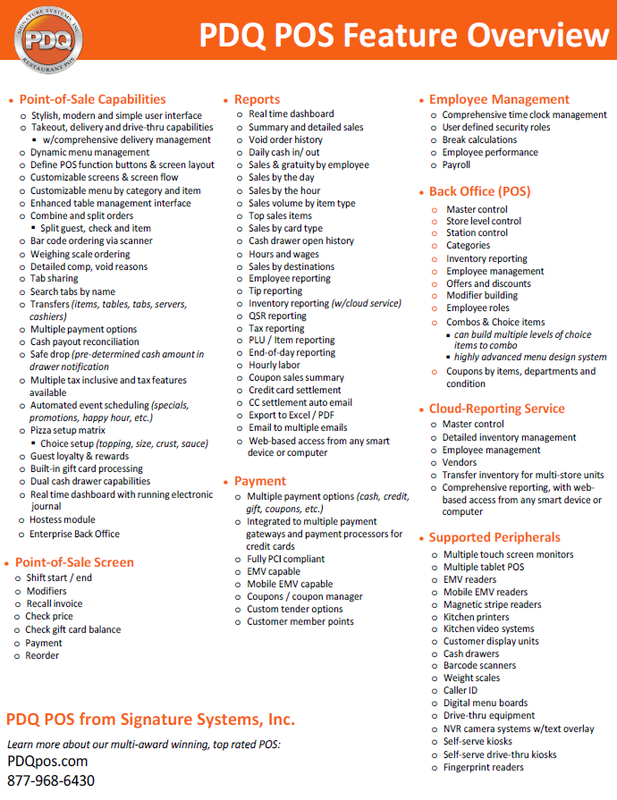 With CUSTOMIZED solutions to fit your needs and budget, PDQ POS is made to order! our largest quick serve customer is a QSR franchise with over 2800 locations.